In movie/TV collaborative recommendation approaches, ratings users gave to already visited content are often used as the only input to build profiles. However, users might have rated equally the same movie but due to different reasons: either because of its genre, the crew or the director. In such cases, this rating is insufficient to represent in detail users’ preferences and it is wrong to conclude that they share similar tastes. The work presented in this paper tries to solve this ambiguity by exploiting hidden semantics in metadata elements. The influence of each of the standard description elements (actors, directors and genre) in representing user’s preferences is analyzed. Simulations were conducted using Movielens and Netflix datasets and different evaluation metrics were considered. 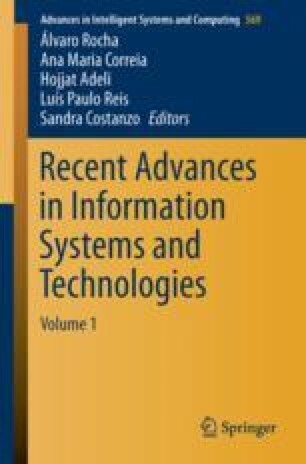 The results demonstrate that the implemented approach yields significant advantages both in terms of improving performance, as well as in dealing with common limitations of standard collaborative algorithm. The work was partially supported by FourEyes, a RL within Project “TEC4Growth – Pervasive Intelligence, Enhancers and Proofs of Concept with Industrial Impact/NORTE-01- 0145-FEDER-000020”, financed by the North Portugal Regional Operational Programme (NORTE 2020), under the PORTUGAL 2020 Partnership Agreement, and through the European Regional Development Fund (ERDF).